Pick. Click. 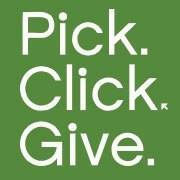 Give: a valuable resource for the Fairbanks community. These three simple words turn out to be a valuable source of support for the North Star Community Foundation. Last year we made an effort to call attention to the fact that North Star Borough residents can elect to support the Foundation when filling out their Dividend Fund application. That resulted in a significant increase in PCG donations to NSCF. Which in turn enabled our efforts to fulfill our mission statement. Past NSCF projects such as the West Valley High School Challenge grants on behalf of Fairbanks Youth Advocates, the Winter Bear project, TEDxFairbanks, Fairbanks Santa's Helpers and other NSCF activities to foster community in and around Fairbanks benefited from this simple act of generosity. New projects such as the Friends of SS Nenana, the Fairbanks Skatepark Coalition, Chena Tool Library, the Fairbanks Housing & Homeless Coalition and the Friends of Fox Spring are adding to our legacy of community improvement. Our efforts are as dependent upon community support as they are focused on community improvement. We sincerely appreciate your support through Pick, Click Give donations to our Foundation in 2018 and hence we are making an appeal to remind you of this simple but valuable resource to our work. When you fill out your 2019 Permanent Dividend Fund application, take a moment longer and select the North Star Community Foundation as a recipient of a PCG donation. It truly makes a difference. And that lets us make a difference. You can help make the North Star Borough Community better by providing funding to these projects.